I am an avid cinema patron. Usually I go to the movies at least once a week. I am beginning to get very annoyed at my local cinemas constant screw ups or lack of respect for the screening of their films. In this age of technological advancement in Home Theatre technology I am finding it harder and harder to spend money going to see a film at a cinema that I could watch a better presentation of in the comfort of my own home. With the advent of Blu-ray high definition and uncompressed or loss less master audio what appeal does the cinema hold now? The fact that they get movies months before the home video release? will be released on DVD and Blu-ray in the U.S on the 28th of April, less than a month away! um...in comparison to room size...LCD and Plasma's are pretty good and who wants optic film Dolby Digital surround when you can have DTS-HD Master Audio from a THX certified surround system?!!? My most recent venture to the movies was to see the Uninvited (see review in last post). The cinema had the A/C on so loud that it was all you could hear during the quiet moments, the screen was exposed to a ratio of 2.35:1 whilst the movie was presented at a ratio somewhere between 1.85 and 1.90 given that we could see the blurry edges and sprocket marks. There was a constant light source on screen from the projection room (possibly a peep hole?) that meant for the better part of this dark movie there was a white box on the left of the screen washing everything out. To the films credit these were not as distracting as I thought they would be, but to be honest I would rather have waited for the Blu-ray and if my ticket wasn't complimentary I would have complained a little louder than I did. It really annoys me that cinemas hike their prices and claim that TV, DVD and Blu-ray will kill their businesses when in reality they are doing it to themselves. 1. 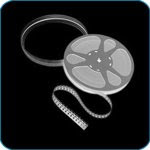 Ensure that each presentation of your movie is going to offer superior sound and visual quality than I could get at home. 2. Block mobile phone signals. The technology to do this has been around for years!! It blocks all incoming and outgoing calls & txts with the exception of emergency numbers. 3. Install doors that can be opened and closed without noise, both for allowing patrons to leave & return quietly during screenings and to allow staff to monitor what is going on in each cinema without disturbing patrons who are not breaking any rules. 4. Offer me an experience I can't get anywhere else. Some cinemas offer night out packages...go and have a meal, coffee and a movie for a set price. 5. Ensure your staff know what they are doing and are well trained. Also ensure there are enough of them on hand to meet demand. who wants to spend 20 minutes in line for tickets when you movie starts in 10? Please feel free to tell me of your bad cinema experiences and what you think cinemas could do to attract audiences.